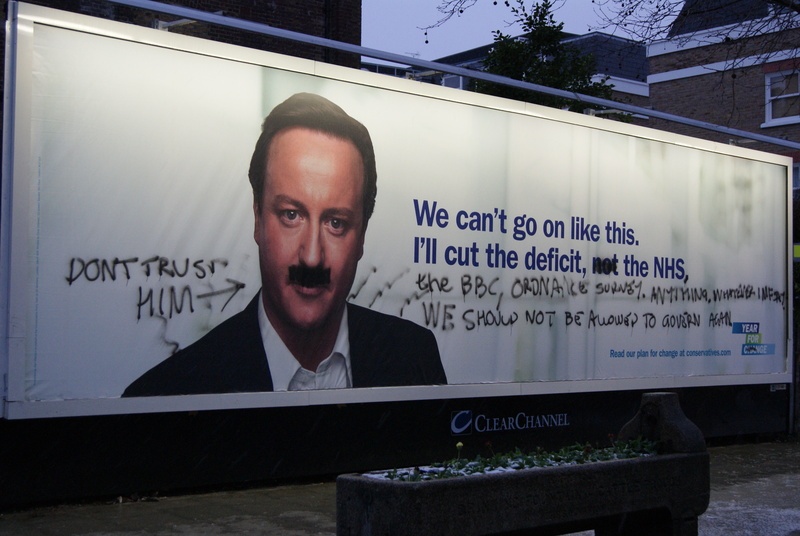 Advertising for Britain's Conservative Party leader, David Cameron, has been the target of a rash of on- and offline vandalism. (Don't get it, youngsters? It's a reference to Elvis Presley.) You can see more here and here. *Yes, America, in the U.K. conservatives actually defend universal healthcare. ** That's how they spell it over there. Can Saatchi's Roberts Avoid Debacle in Campaign for U.K. Prime Minister?